This is a story of how training and mentorship by the Empower Youth for Work project has given Rufo Dekebo the chance to sharpen her skills as a youth reporter – and to fulfil her ambition of becoming a “voice for marginalized women” in her community. It was an unusually wet and cold week in May in Shashamane town in the Oromia Region of Ethiopia, but even the rain couldn’t dampen the spirits of 25-year-old Rufo Dekebo – one of six Empower Youth for Work trainees who had been selected to work as youth reporters. 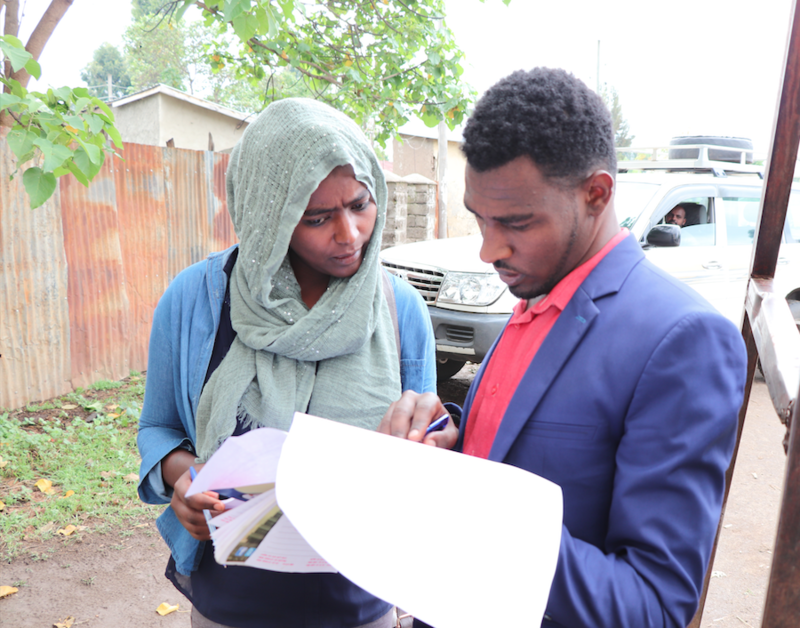 For a week in May, Rufo worked with the Oxfam Influencing team and was mentored by Mulugeta Terefe, a radio reporter with Fana Broadcasting Corporate (FBC), one of Ethiopia’s leading channels. Rufo lives in Arsi Negele, one of six districts where the EYW project is working to overcome the barriers young people face to accessing sexual and reproductive health services. In September 2017, EYW began a partnership with FBC to broadcast programs on gender-based violence, unpaid care work and sexual and reproductive health. FBC has wide geographical reach and broadcasts in several languages – including Somali and Afaan Oromo, which are commonly spoken in the EYW project target areas. Mulugeta Terefe is a champion of youth and women’s affairs in Afaan Oromo. Once a week, at 9.00pm, he hosts a 15-minute radio program in partnership with the EYW project, aimed at bringing about social and behavioural change and raising the voices of young women and men in the community. Mulugeta also produces other weekly youth programs, and is well known and respected among young people and the wider community. Rufo had not previously considered a career in journalism or reporting. As a child, she dreamed of a career in science, but says her grades weren’t good enough. “Now though, I am glad to have studied Afaan Oromo language and literature – a lot of the best reporters in Ethiopia come from a literature background!” she laughs. 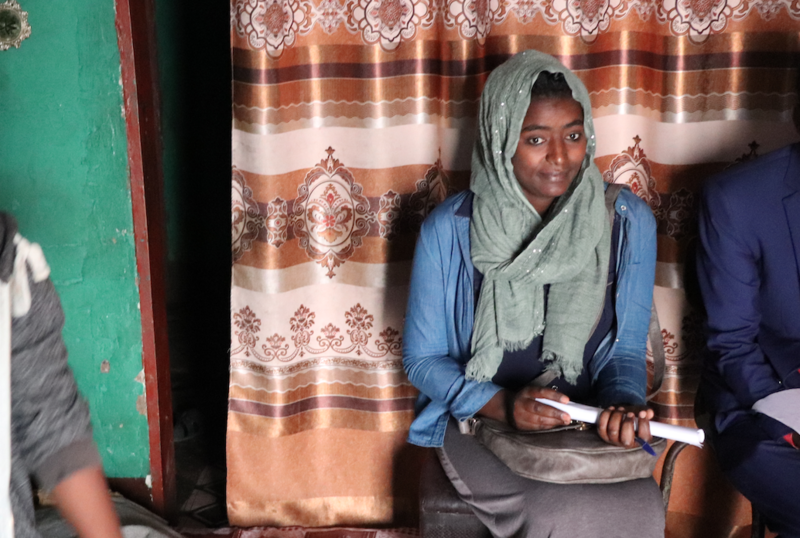 During the week in May, through her first-hand experience and Mulugeta’s careful guidance, Rufo developed her interview techniques and was inspired by the many people she met and the stories she heard. She was also thrilled to have the opportunity to contribute to the production of the EYW radio show, of which she is a devoted listener. 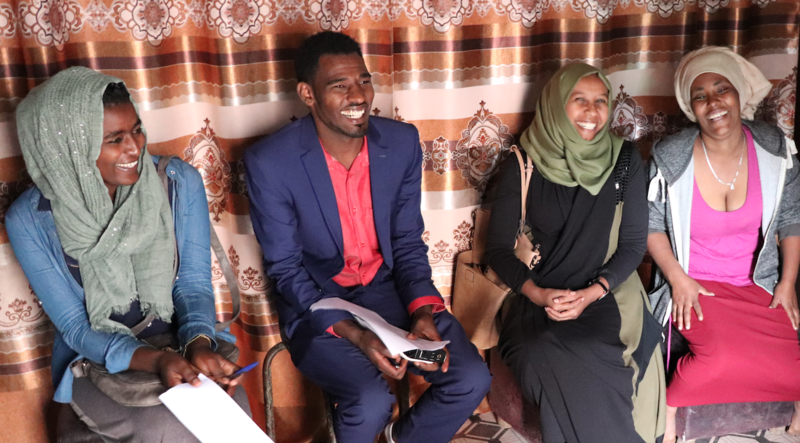 In Mulugeta’s opinion, Rufo can go far: “With her positive attitude and hard work, she can become a reporter.” As a result of her experience, Rufo now feels passionately that a reporter should be the voice for marginalized people. She says that while it is up to governments to take measures that change lives, there also needs to be someone to expose the problems and issues in the first place – something that requires skill and experience.